Linné on line – Was Linnaeus famous? 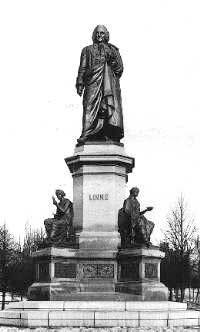 Linné on line The History of Ideas Was Linnaeus famous? There is an old saying that “No one is a prophet in their own country.” Linnaeus managed to become one. He is without doubt the single most famous Swede throughout the world. He is acclaimed as a hero of science, the king of flowers, and many people associate him with what we like best in Sweden: the outdoors, summer, birds, and flowers. Few critical and negative judgments are associated with Linnaeus. But has this always been the case? Has anybody ever ventured to make fun of him? God had charged the biblical Adam with naming all living beings, and in this picture we see Linnaeus portrayed as “the second Adam.” He is sitting in Paradise completing his predecessor’s task. From Systema Naturae 11th ed. Halle 1760. 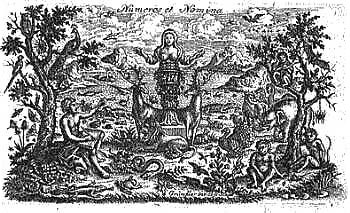 The Linnaeus cult developed only gradually. To understand the reasoning, it is important to make a distinction between being famous and being popular. As a matter of fact, Linnaeus was not a popular person during his lifetime. Of course, among his disciples and closest friends he had already been declared a genius, but his popularity was not uncontested, not even during the Age of Liberty. He did attract disciples and inspire many people, but others took offense and felt challenged by him. Linnaeus statue in Humlegården Park in Stockholm. He had dominated Uppsala University for a couple of decades. He had shifted natural science to a central position at the University, and his courses were the most popular ones. He took students away from their dull and dusty books and out into God’s outdoors. This caused envy and bitterness among some of the other teachers, perhaps primarily those who taught theology and classical languages. With time he grew more and more isolated, and even though most people appreciated his research, he cannot be said to have been popular. Even toward the end of Linnaeus’ lifetime there was a noticeable decline in naturalist studies. What was considered worthy of study, or as we would say today, what was in, was largely determined by what interests the king had. With Gustav III, the interest of the court shifted away from science. Theatre, art, literature, and music were granted high status. People even started making fun of natural science, representing it as dull and a little silly. Some people even maintained that pursuing science was a sign of dimwittedness. One indication of Linnaeus’ status in Sweden after his death is the fact that no one intervened when all of his manuscripts, herbariums, and other collections were sold abroad. In the summer of 1784 everything was sent to London in 26 large crates. The buyer was the English physician and Linnaean James Edward Smith. 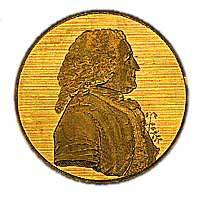 With Linnaeus’ collections as a core, he founded The Linnaean Society in 1788, also becoming its first president. Linnaeus statue at Uppsala University Library. During the first few years the Society’s meetings were held in his home, where the collections were also housed. Access to the collections was apparently rather limited, and it did not help that Smith moved to Wales. The Linnaean Society did not assume full control of the materials until after Smith’s death in 1828, when they were bought from his widow. However, some of the original collections were missing. The mineral collection had previously been auctioned off, and much of the zoological material had been ruined or had disappeared. Linnaeus bust unveiled in Paris. Linnaeus had been extremely popular in London even during his lifetime. This popularity grew when his collections were brought to England. 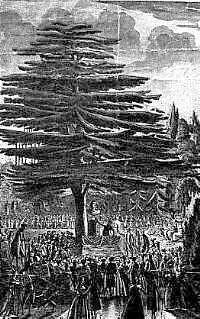 London came to take over Uppsala’s role as the center of the Linnaeus cult, and it was also in England that he was first celebrated as a hero and idol. In summary, Linnaeus was not especially popular in his native country at this time. His closest friends and his disciples tried to keep his memory alive, but it was not easy. When the centennial of his birth was celebrated in 1807, festivities were limited to minor events in Växjö and Uppsala. At this time there were still many people who had personal memories of Linnaeus as an elderly, grumpy, and somewhat conceited person. He was definitely not a popular hero in the eyes of his Swedish contemporaries. Attempts were made, nonetheless, to start Linnaean societies in Sweden: in Uppsala 1800, Visby 1806, and Stockholm 1832, but these organizations quickly petered out. It was only with the 19th-century Romantics that today’s most widely spread image of Linnaeus was created. The physician Israel Hwasser, the botanist Elias Fries, and the historian Geijer were among those who cherished the legacy left by Linnaeus. Several biographies were written, and his autobiographical notes were published, which also helped arouse interest. Linnaues bust in the Boatanical Garden in Uppsala. The image of Linnaeus that emerged was quite simply a variant of the ancient myth of the hero. Linnaeus was born under conditions of poverty in the home of a clergyman in a tiny, remote, and unknown place somewhere in the Småland countryside. He first encountered ignorance and lack of understanding from his teachers, who failed to understand what potential greatness they were dealing with. During his time as a teacher he was met with envy, powerful rivals, and other hardships. Ultimately he triumphed, winning the admiration of all. Apace with his recreation as a hero, he became more and more beloved. A folksy Linnaeus emerged who could be appreciated by the general public. Everyone learned to collect plants and animals in school, and for many people it became a cherished hobby. During the 18th century, collecting was primarily associated with the nobility, the clergy, and physicians. In the 19th century this interest grew to include hunters, teachers, foresters, and a rapidly burgeoning group of adolescents who were attracted to nature. Previously all handbooks for determining species had been written in Latin, but now they appeared in Swedish, and special books were published that addressed beginners and amateurs. By the 200th anniversary of Linnaeus’ birth in 1907, the situation was entirely different from that of a century earlier. Linnaeus had become the pious prince of flowers, avuncular and mild, a symbol of youth and springtime. Festivities were arranged, and busts were cast and toasted as never before. It was not to be forgotten that Sweden, under the leadership of Linnaeus, had been the world leader in botanical research for a couple of decades. This memorial to a period of greatness and dreams of patriotic grandeur were especially suitable at the time, for Sweden had lost Norway only a couple of years earlier.